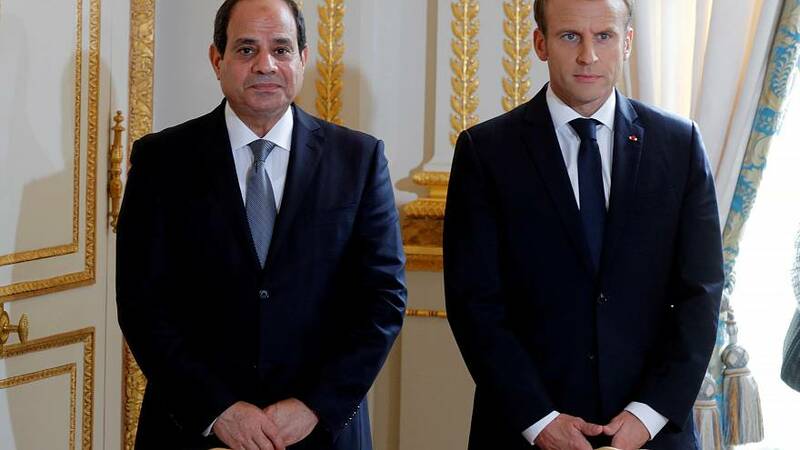 Emmanuel Macron emphasised the importance of human rights in Egypt during a joint press conference alongside President Abdel Fattah Al-Sisi on January 28. The French president said Egypt was a key ally in the fight against Islamic extremists but that the country had carried out an unprecedented crackdown on dissent. "Egypt is truly a regional power and its stability is essential to us [France]," Macron said during the conference — part of an official three-day visit to Egypt. He added that "stability and peace" go together with the respect of individual liberties and the rule of law. "The search for stability and security cannot be separated from the question of human rights," Macron said. "A civil society that is dynamic, active, and inclusive is the best defence against extremism and is a condition of stability in the country." Ahead of the talks, Macron had declared that he wanted to "pursue a truthful dialogue on topics of public freedoms and human rights". Al-Sisi led the military overthrow of an elected but divisive president in 2013. Since then, Egyptian authorities have jailed thousands of people, mainly Islamists but also a number of prominent secular activists, including many of those behind the 2011 uprising that toppled long-time autocrat Hosni Mubarak. Rights groups and activists have urged France and other Western powers to halt weapons sales to Egypt, a major buyer, until it shows improvement in the way it treats its own citizens. Amnesty International has found that weapons sold by France to Egypt were used to repress protesters in 2013. Egyptian authorities say they are fighting terrorism and trying to restore stability after years of unrest. Macron dismissed using such pressure, saying it was important to respect Egypt's sovereignty. He warned that in the absence of Western support, Egypt could turn to China and Russia — Al-Sisi is already courting both.